How can I search for notes? From the project view, click on the magnifying glass on the right hand side of the screen. This will give you the option to search for notes in a specified date range. To make a search more specific, click on “More Search Options” under the date range. 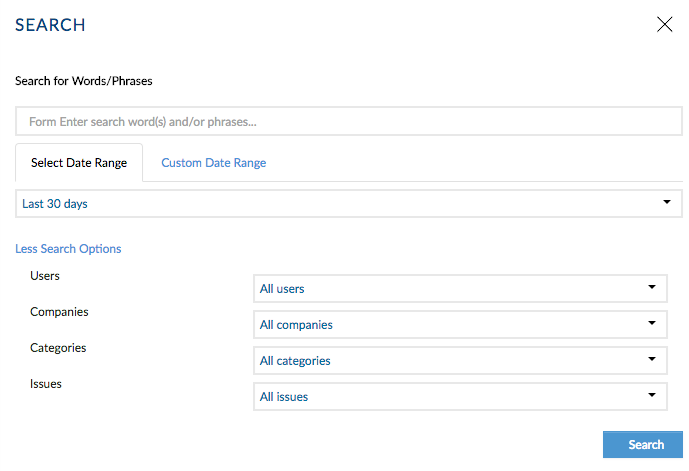 This will allow you to filter notes by user, company, category, and issue.